We were very happy when we got the call from Lynn Speral, Regional Chief Executive Officer, American Red Cross Dakotas Region to once again help with their Annual Meeting. 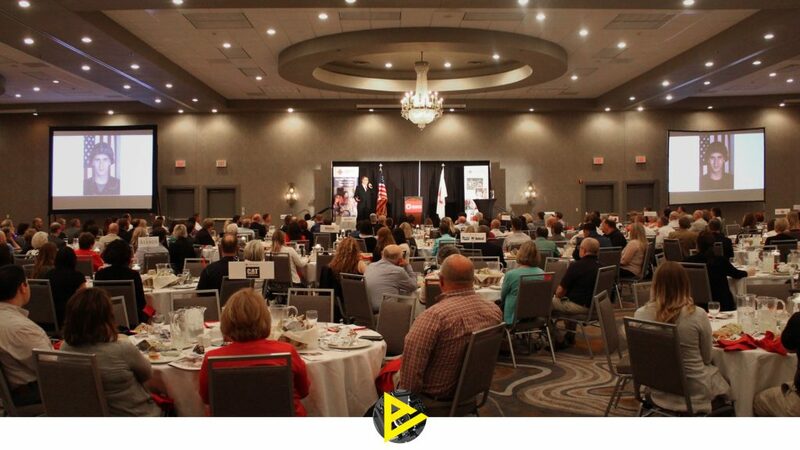 The event was held on June 8th at the Delta by Marriott in Fargo. This year’s Annual Meeting marked the 100th Anniversary with the theme, “A Century of Service” and Video Arts provided the A/V support for approximately 500 attendees. Lighting, video playback and audio details were worked out prior to the event after a visit to the venue. Lynn wanted to be assured that everyone in attendance would be able to see and hear the presentations including keynote speaker Keith Huff, the Service to the Armed Forces Manager for the Red Cross in North Dakota and Northwest Minnesota. We are extremely proud to be a part of the American Red Cross Dakota Regions team. In 2016, they assisted 5,147 people during emergencies or disasters in our region. When you need help with A/V support for your next meeting, large or small, please give us call. We would be happy to lend a hand!